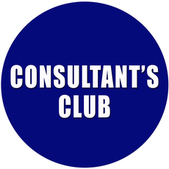 REGISTER FOR THE NEXT CONSULTANT'S CLUB CALL OR MONTHLY ONLINE AUDIO LESSON RECORDING NOW! Register Here for the Next Consultant's Club Conference Call or Monthly Online Audio Lesson Recording! Complete the information below to sign up for a live call or monthly online audio lesson recording.